Some other sites say 10 minutes, but our statistics show that most users can register and lodge on our site on average between 8-12 minutes. Get up to date with our Back Years Online Tax Return in no time at all! We are the easiest way, the site works on any device, from mobile phones to desktop computers. Refunds will be deposited straight into your Bank Account. No more pouring over convoluted, hard to understand forms and questions. Our step-by-step guide will make sure you only do what YOU need to for your basic tax return. No more irrelevant sections. Complete your Back Years Online Tax Returns the Easy Way! 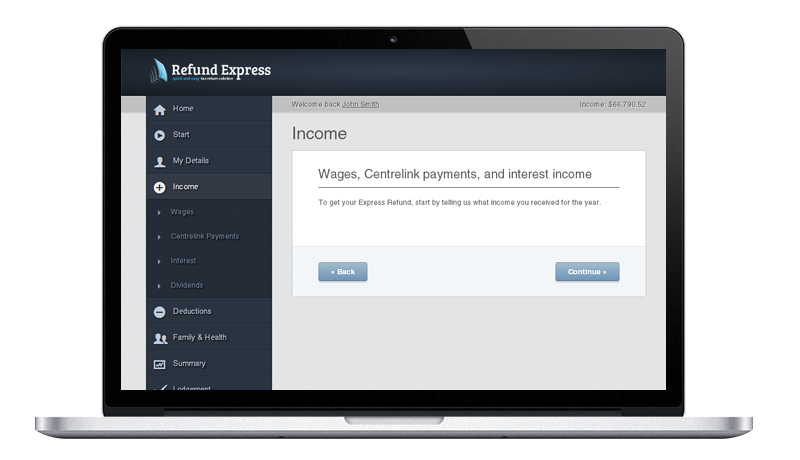 Refund Express Australia has Online Tax Return system for quick and easy basic Online Tax Returns for back years. This means you can now lodge any Back Years Online Tax Returns you may have missed for Tax Returns from 2010, 2011, 2012 or 2013. If you have more than this to complete you may contact us directly and we can assist to get the information required together or request it from the ATO for you. You cannot use eTax or MyGov to complete your back year Income Tax Returns and you sure cannot do it online with the ATO. We can go back over 20 Years if needed, so it’s never to late to get your Refund Back, using our Back Years Online Tax Returns. You can prepare your 2013 or prior years Online Tax Returns in less than 10 minutes, just like any other year with Refund Express. Doing Prior Year’s Tax Returns is still easy using our mobile device friendly app, you can do it in any Internet Browser. It will work on any device with a current browser, including an Apple Mac, Windows computers & laptops, iPad’s, iPhones, Android Phones and even Windows Phones. You can start it now and finish it later or ask use for assistance if needed. 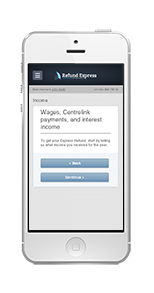 Refund Express is Mobile optimised, this means that you can process your Online Tax Return quickly and easily on any device. No clunky forms or confusing questions, it’s quick, it’s easy and it’s really simple to use our Online Tax Return system. It’s just as easy to complete as the current year is.